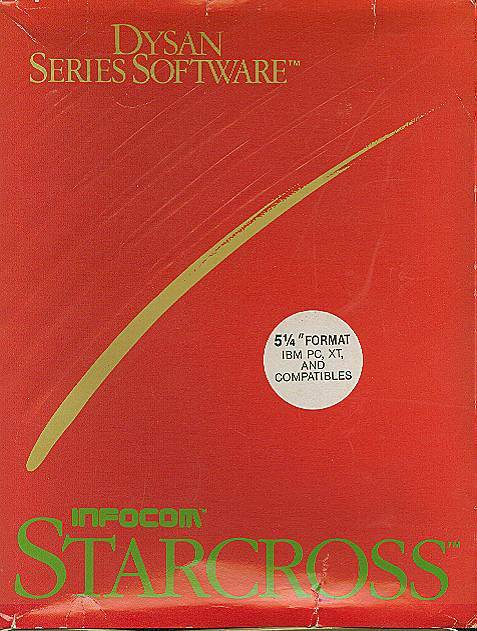 Infocom Dysan boxes are easily identified by their bright red slipcover, about the size and thickness of an Activision Collection box, with the title and Infocom logo in green and the company name in gold. The gold box under the slip is open-ended, that is, there's no top box piece to cover it. As a result, the slip will likely be pressed in a little bit in front. The entire package is very light and flimsy-feeling, and a there's a lot of open space inside considering how few contents there are. It may have had some kind of padding originally. 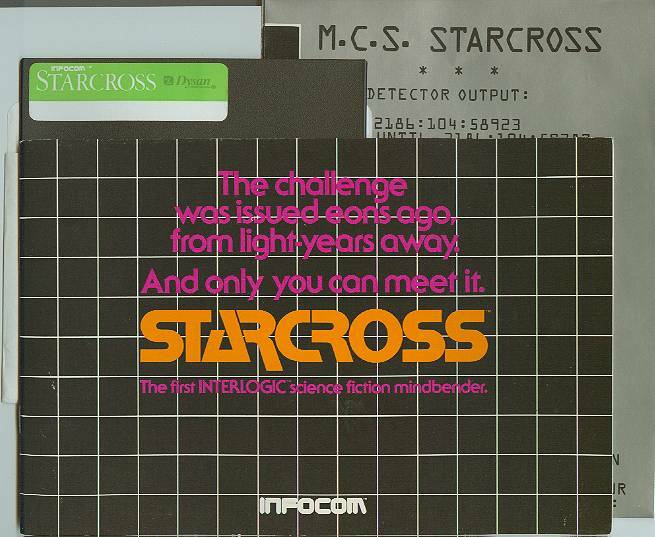 Starcross has the space map, the same size as the folio and grey box but folded differently, rectangular manual that's wider across than from top to bottom, Interlogic reference card, and the trademark green Dysan label. (No alien-contact instructions, TomMage's doesn't have them either.) The description on the back paraphrases and dilutes the original Infocom blurb.